This post continues the conversation on entrepreneurship series of the last two blog posts. In this blog I’ll talk about the importance of hiring and retaining a great team to succeed in entrepreneurial endeavors, about structures, systems and people and how they help form your culture, and the importance of clear communication for entrepreneurs. 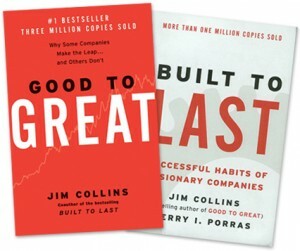 The ‘bus’ concept, as referenced in books like Good to Great and Built to Last by Jim Collins, represents a few different but related concepts around teamwork. First, you need to ensure folks on your team are in the right seats and recognize that as you move forward sometimes people require different roles as the business scales. Second, in order to have a strong team it really helps to have a diverse team and to look for ideas from all parts of your team so you get the benefit of a range of different perspectives. Third, you and your team’s leaders need to grow as the business scales, and leaders need to embody and live the core values, exemplify the work ethic, and be passionate about fulfilling the vision and mission. Otherwise people need to ‘leave the bus’, and you need to get others on board so that your team is as strong as possible. Your organization’s culture is also incredibly important. As I’ve said, you are only as good as your team – and culture permeates and affects everything about your organization. It’s hard to shape culture; it’s formed by the magical interaction of people, systems and processes. You can try to shape it but it’s really the shadow you leave behind as a leader. Culture is like rocket fuel. It can take you to amazing places, but it can also blow up if it’s not quite right. A healthy culture has the structures, systems and people all in balance and working to deliver the company vision and mission in the context of the environment. Having the right people on your team is critical to having a healthy culture, one that’s aligned with your values, vision and mission, but so is having the right systems and processes. One of the things I realized early on was that you need to spend time on your systems and processes. They necessarily must change as your company grows. We learned a few lessons, like the need to balance quality and scope, and resources and time, and our processes and systems reflected this balance. We also realized early on that everyone in the office needed to use our own products themselves in order to have a valid perspective on the art and craft of our business. My advice to all CEOs and leaders is to always trust everyone on your team, but use your wider perspective to occasionally go deep and help your team ‘check the oil’. You’ll be surprised at what you occasionally find, and you’ll have the perspective to see how some parts of your organization aren’t fully aligned. As a bonus, you will also likely encourage your team to redouble their efforts since they know you’re paying attention to the details as well as the strategy! In terms of Structure, we started with a single team, went to two teams, and we ended up with a matrix structure in Edmonton, Montreal and Austin, with projects on one axis, departments on the other. By 2009 we were a label within EA, ultimately with five business units and eight locations by 2012. 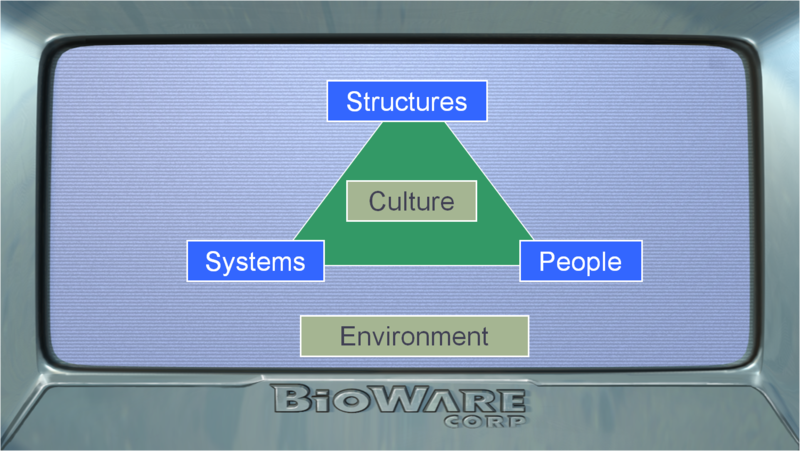 Our structure was designed to allow us to tackle new markets, new distribution and new business models, and consistently deliver at BioWare quality with centers of excellence. Communication processes also need to change as your organization evolves, and it’s how you ensure everyone’s aligned on the vision and mission. Communication of vision, strategy and goals is one of the key processes for entrepreneurs. Great communication helps you successfully scale, along with your systems and structures. And this isn’t easy to do unless you’re a great communicator. The reason why: without clear communication, no one will know what the heck you’re trying to say and you won’t succeed in aligning your team. To succeed in communication of your strategy and vision, tune your message for each audience to ensure they get the clarity they need, for example your employees, customers, investors and press. 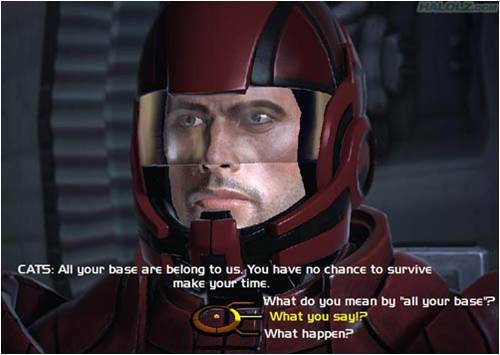 Practice communicating, over and over. Refine your approach based on feedback from your team. Share your message frequently, and check back to ensure your team is aligned with it. The good news is that you can indeed improve your communication, and there are lots of great tools out there to help you do so. 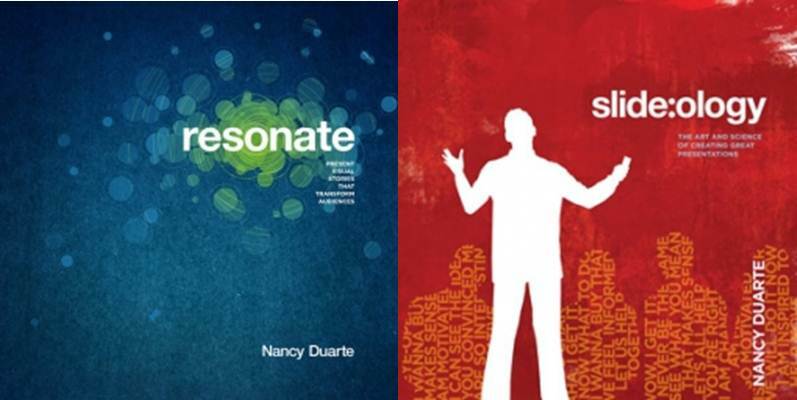 Look at Nancy Duarte’s books Slide:ology and Resonate for some great suggestions on how to present concepts more clearly and successfully navigate change more effectively. Next time I’ll talk about life as an entrepreneur, why focusing entirely on an exit isn’t the best way to build enduring value, and how to take timely advantage of disruption in the market to successfully compete.